When you’re a small business owner, you need all the help you can get to increase your small business finances. Seeing as nearly 9 out of 10 startups fail, and that less than half of small businesses survive past their fifth anniversary, finance is extremely important for small businesses. But what are the best ways for you to boost your small business finances without going the Walter White route? With the first way, you are increasing the amount of money you get from outside sources (excluding banks), increasing your working capital and your survivability. In the second form, you are increasing the way you manage the money you have, meaning greater efficiency, lower expenses, and greater survivability. Today we’ll look at 12 amazing resources that will help you increase your small business finances in both ways. No matter what the business is, there’s always a need for more working capital, greater cash flow and more safety. Because banks can charge exorbitant rates or refuse to give any loans to small businesses, there are other financing options. The most popular crowdfunding websites are Kickstarter, Gofundme and Indiegogo. These sites allow for regular people to pool their small investments together in order to help out businesses. That way, small businesses don’t have to look for a single large investment. There are some fees connected to certain sites, so be sure to carefully research the sites before deciding to jump in. Kickfurther is a lesser-known platform specifically for retail small businesses. It is similar to crowdfunding sites in that a group of people come together to provide funding to meet the small business’s goals. However, instead of the various rewards of crowdfunding sites, these crowdfunders essentially own part of the small business’s inventory. When the inventory sells, the crowdfunders earn a profit. Peer-to-peer lending allows for individuals to lend money to other individuals or businesses without any intermediary organizations (for example, banks or the government). Lending Club is a popular platform, although others such as Zopa and Bondora (which doesn’t serve businesses yet) are gaining ground fast. These sites offer better rates for small businesses and individuals and better returns for investors. Factoring allows for companies to get money on invoices that haven’t been paid out yet. Once the invoice is paid, the business then pays back the money to the provider plus a fee. This is useful in bridging the gap between an invoice sent and payment received, during which other financial obligations may and do arise. Three popular factoring companies are Fundbox, BlueVine and Dealstruck. Micro-financing allows for small businesses and individual entrepreneur to get smaller loans from non-bank institutions. Also known as microloans, this finance form started as an innovative solution for borrowers in less-developed countries, spreading to other parts of the world since. Popular micro-financing platforms are TrustLeaf.com, PayPal Working Capital, and the US Small Business Administration’s own Microloan Program. These options range from lines of credit (such as Kabbage), short- and long-term loans (OnDeck), unsecured business loans (SnapCap), working capital loans (Fundation), and merchant cash advances (RapidAdvance). These are various loans that vary across state and national borders, and provide relief for small business funding needs. If you already have a good amount of capital, or are only comfortable with what you have and not looking for additional funding sources, you should look towards securing the financing that you have. That means becoming good stewards of your funds by managing them correctly. If you are in the retail, wholesale or service business and have inventory, you’ll need to find comprehensive methods to manage that inventory. You need to keep track of your inventory and be aware of any real-time changes. There are many cloud-based inventory management solutions for small businesses, such as Fishbowl. Doing your invoicing and billing by hand can take a lot of your time, and although it is important, it is essentially time wasted. This is because there are many ways to automate it, and online invoicing software such as InvoiceBerry is one of the best. You can create and send invoices in under a minute, keep track of invoices, add payments, track expenses, and even do reports. Most customers have a credit or debit card of some form, and it is the easiest way for them to pay for products and services. In order to increase your sales, you’ll need to begin accepting cards in person and online. This can be point-of-sale, mobile card reader or through a shopping cart online. The top ones are Square, Shopify, and ShopKeep. When you have a small business, it’s important that you have the best software to help you analyze and plan your finances. This can include software that helps with your three financial statements (profit and loss, balance sheet, and cash flow). It will also help you to plan your finances so that you can set realistic goals. Top software includes Prophix and Centage. This is a specific app that helps you in taking care of your receipts. As you already know, it is important for all businesses to keep copies of their receipts in case of a tax audit. However, with so many small expenses, and so many tiny slips of paper, it is very easy to lose them. Expensify allows you to take a picture of your receipt with your phone and then it converts the image into a neat report. With all the tiny expenses that businesses make, how do you keep track of them? It is impossible to get an accurate picture of your expenses and finances without taking into account the smaller, everyday purchases. However, it can also be a huge hassle to go through your bank statements to record each small transaction. That’s where InDinero comes in, by combining information from the business owner’s bank and credit card accounts and create financial reports, forecasts, and budgeting suggestions. 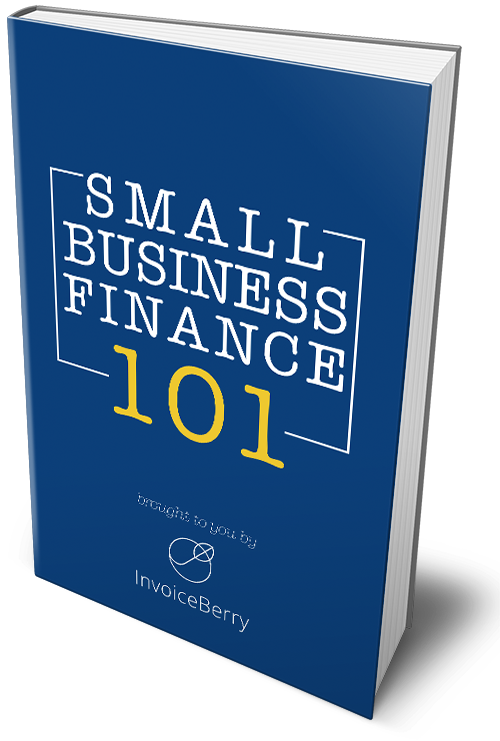 These are some of the best resources out there to help owners get ahead of their small business finances. This can be achieved either by increasing the capital or by better managing their existing funds. If you have any experience with these resources, or have some great advice related to small business finances, please let us know in the comments below!